PBM Capital Group, a healthcare-focused private investment firm, has acquired Sweden-based Breas Medical from GE Healthcare. Breas Medical was founded in 1991 and it was acquired by GE Healthcare in 2008. The company manufactures home respiratory ventilators and sleep apnea products for the global home healthcare market. These products are being sold in over 40 countries. Through the acquisition, PBM Capital will integrate Breas Medical into Human Design Medical (HDM), a lifestyle medical device company focusing on the treatment of sleep apnea. 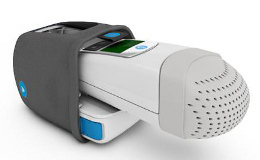 HDM launched the sleep apnea device Z1 CPAP machine. Through this transaction, the combined companies will continue to innovate by developing new products or acquiring additional respiratory product companies that will extend their reach into the global home respiratory products market. PBM Capital CEO Paul B Manning noted the company has acquired Breas Medical because it is a logical fit with its growing HDM sleep apnea business. "The Z1 CPAP machine has had an incredible launch here in the United States, and we have more innovative products in the pipeline. "The Breas acquisition opens the door to global distribution channels and gives us immediate access to an established line of home care ventilators backed by a strong IP portfolio. We are very excited to merge these two great companies," Manning added. According to PBM Capital, this acquisition expands reach of the fastest-growing sleep apnea device in the world. Breas Medical’s product development is focused on home care ventilation and sleep therapy products. The company will launch its Vivo 50 ventilator in the US in the first quarter of 2014. HDM manufactures lifestyle medical devices and continuous positive airway pressure (CPAP) machines used in the treatment of sleep apnea. The company has launched Z1 CPAP machine in November 2013.